Ever since the publication of his first novel in 1974, David Pearce is known as one of the most important British writers of his generation. With his latest book, Red or Dead, he pays a heartfelt tribute to Bill Shankly, the legendary Liverpool Football Club manager. He kindly accepted our invitation to delve into his literary background for this book. And did so with great passion. In its heyday Liverpool was a major port as well as being a thriving working-class city. 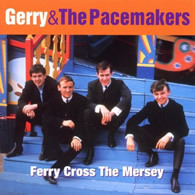 With two premier league football clubs and a pop group « more popular than Jesus » Liverpool has earned a place in the history books. From 1959 until 1974, Bill Shankly was the manager of Liverpool Football Club. But Bill Shankly was very different from other football managers, very different from other men. Bill Shankly was a revolutionary. Bill Shankly was a saint. RED OR DEAD is a novel about Bill Shankly. 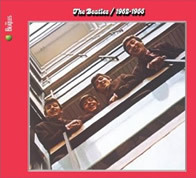 Britain in the 1960s belonged to Liverpool : Liverpool Football and Shankly were on the rise, Everton Football Club, their rivals, were very strong ; the Prime Minister, Harold Wilson, represented a Merseyside constituency, and of course there were ... The Beatles, and the whole explosion of the Merseybeat Sound, along with many great poets and artists, too. And so everybody wanted to be a Scouser. It took me over 700 pages to try to paint my portrait of Bill Shankly and Liverpool Football Club, but if you want to see, hear and FEEL a better one, then watch the Kop sing this song, with their banners and their scarves aloft, before every game of every season of every year. ART FROM ALL, ART FOR ALL : Bill Shankly was a Socialist. He was a revolutionary. He inspired and motivated the people around him – the players, the staff, the supporters – to COLLECTIVELY change Liverpool Football Club and their lives. This was the portrait I wanted to paint of this man. “"Twelve" reflects the ambivalence and the uneasiness that educated Russians felt during the first months of the Revolution – a period that fell between Russia's failures in World War I and the horrors of Civil War that would soon follow. 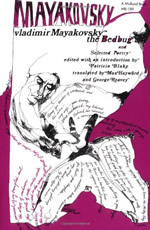 "Twelve", which caused great poetic controversy, had no poetic unity. 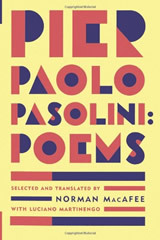 It consists only of flying fragments : bits and pieces from the Orthodox liturgy and revolutionary songs, from vulgar rhymes and popular ditties, from lamentations, the calls of looters, and even prostitute's solicitations. Many of these fragments shock the ear in their juxtapositions. The language of Twelve is alternately elevated and vulgar, archaic and modern, serious and mocking. It describes a whirling, topsy-turvy world caught in a cataclysm that is linguistic and historical and philosophical and meteorological. Man and nature are bound together in one crucial historical moment, in the storm of Revolution”. Maria Carlson, University of Kansas (USA). “"Strike" like his later (and more famous) "Battleship Potemkin" (also 1925) and (to an extent) "October" (1928), takes place in the final days of the Tsarist era before the Bolshevik-led revolution and the establishment of a Communist Russia that Eisenstein did most of his life’s work in. Taking place in 1903, the film serves as a demonstration of proletarian sacrifice. 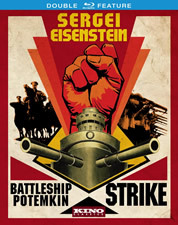 However, Eisenstein’s work is far more than government-sponsored propaganda. 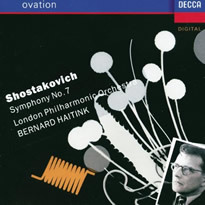 It’s a beautiful work of art manifested through an expertly crafted narrative, a film that exhibits an incredible understanding of cinema’s unique visual language.” Landon Palmer "FilmSchoolRejects"
On the 9th August 1942, Dmitri Shostakovich’s 7th symphony, the Leningrad symphony, was performed in the city of the same name that we now know as Saint Petersburg. At the time, Leningrad had been under siege by the German army for over a year. The score was sent by airplane in order to get past the blockades and reach the besieged city. On the day of the concert, the German army launched an offensive and began heavily bombing the city. 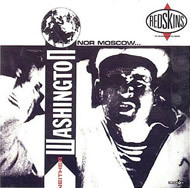 The Soviet army stationed in Leningrad gave the order for all their antiaircraft guns to remain silent for the duration of the concert. (…) It was said that the music could be heard as far away as the German army trenches.” Verena Nees – World Socialist Web Site. Even though the boys and the supporters on the Kop often sang Beatles songs, Bill Shankly himself was not a big fan. 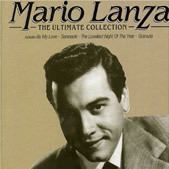 He preferred Mario Lanza and this was his favourite Lanza song. Yorkshire Reds ! A handful of singles, one album, and then gone. But songs such as "LEAN ON ME, KICK OVER THE STATUES" and "KEEP ON KEEPIN’ ON" remain as great and uplifting as ever. How do you avoid losing the thread on your life and cutting off your roots when your talent is taking you to higher planes? Some have fallen into this trap and are forever lost. "RED OR DEAD" is the second novel I have written about a football manager ; the first was "THE DAMNED UTD". 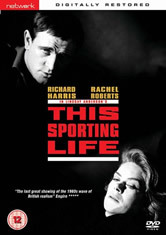 That book was inspired by the novel "THIS SPORTING LIFE" by David Storey, published in 1960. Storey was born in Wakefield, Yorkshire, very near to where I was born and raised. "THIS SPORTING LIFE" was his first novel, and the story of a Rugby League player. Along with the book, the brilliant film directed by Lindsay Anderson was also a huge influence and inspiration to me when writing "THE DAMNED UTD", and with "RED OR DEAD", too.